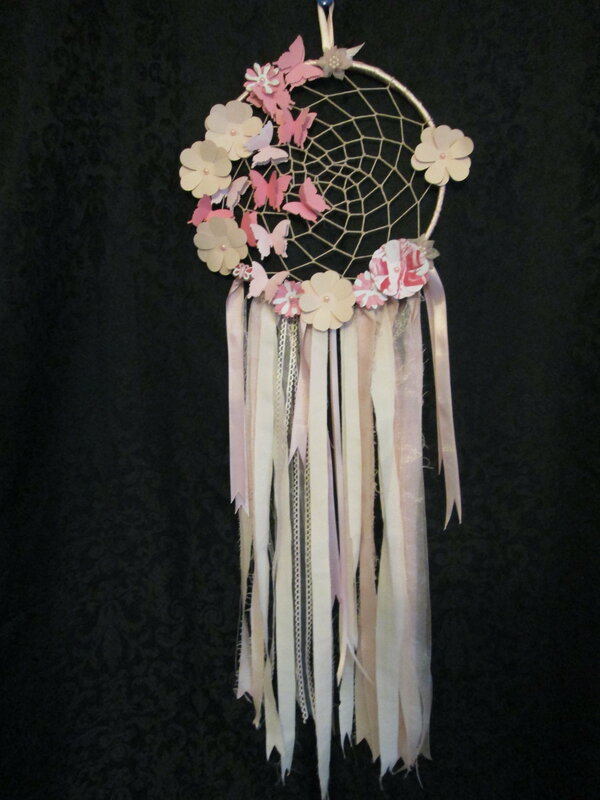 This dreamcatcher was crafted in soft pink tones adorned with flowers & butterflies. 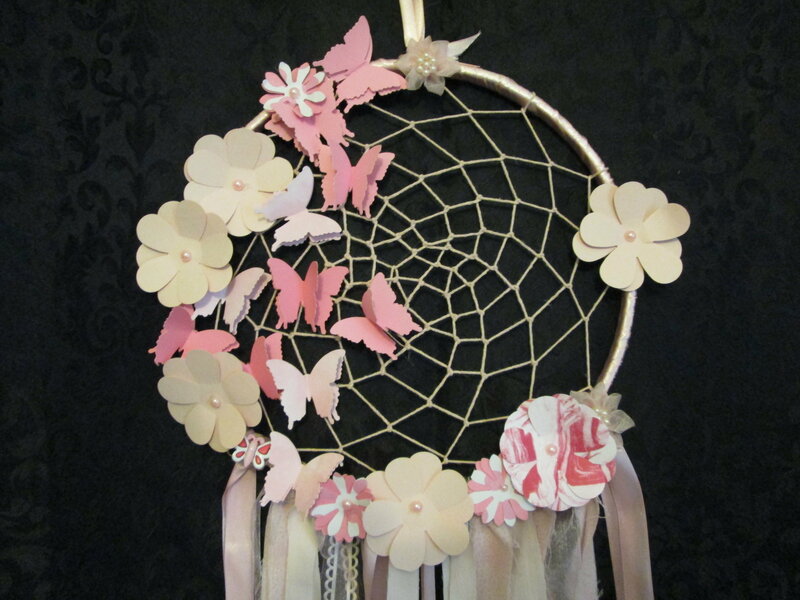 From the top hang tag to the bottom of the ribbons measure 32". The hoop is 9 1/2" across.